JBR has taken the lead in setting up an international maritime and offshore forum on mergers and acquisitions and restructuring, the Global M&A Maritime and Offshore Forum. 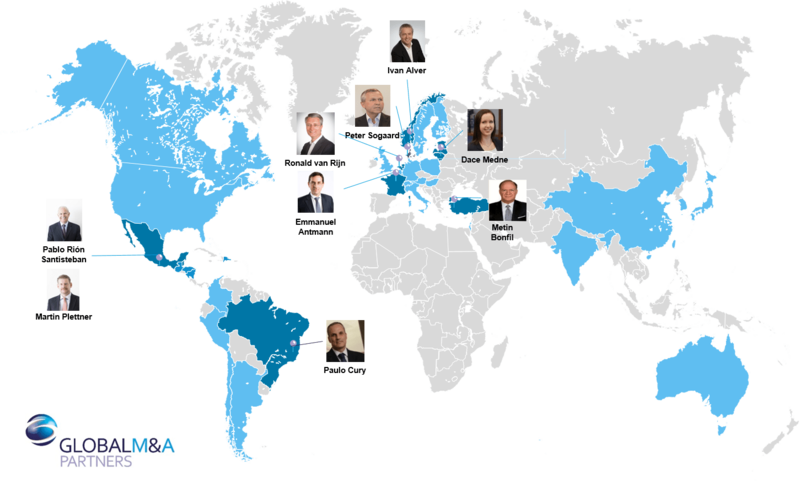 This collaboration takes place within the international Global M&A network, of which JBR is the Dutch partner. In addition to JBR, seven other offices of the network are part of this forum. These are Financière de Courcelles from France, Rion in Mexico, Condere in Brazil, NCF in Denmark, Saga in Norway, Total Finance in Turkey and Prudentia in Latvia. In total, eight offices have combined their forces. JBR has formed an international merger and acquisition forum focused on the maritime and offshore sector. The maritime and offshore sector is extremely well-suited for international cooperation in the merger and acquisition area. The sector is internationally oriented and highly capital-intensive. Only those consultants who have knowledge of this sector, speak and understand the language, in short, who have earned their reputation, can optimally serve this international maritime world. With these characteristics in mind, it was clear to JBR that an international approach to the sector could lead to major benefits. Thus, this collaboration between the eight international agencies and their combined knowledge and skills makes it possible to guide major international merger, acquisition and restructuring processes. JBR has a pivotal function in the forum. For example, Kees van Biert, JBR’s partner, is the connecting factor between the offices. As President Maritime and Offshore, he visits the affiliated offices and with the partners of these offices he calls on companies in the maritime and offshore sector. Ronald van Rijn, managing partner, is frontrunner and Margo Blikman is doing the research. An “ambassador” has also been appointed, a person who opens doors in the maritime sector. Of course, this is a person with a strong record of achievement and we are very proud that Ben Vree, former topman of, among others, Smit Internationale and APMT, has taken up this task. Currently, mid-June, Kees van Biert and Ben Vree visited, jointly or separately, offices and companies in Norway, England, Denmark, Turkey, Mexico, the US and the Far East. From the Forum, a “Newsletter” will be published each quarter, which deals with a theme. The first two Newsletters had the themes “Digitalization” and “Clean shipping”. And what’s up on the agenda for the coming period? Of course, Kees van Biert and Ben Vree will visit countries, offices and companies. For example, Scandinavia is on the programme. There will be another two newsletters this year. But what we would certainly like to mention is that we are organizing a Captains’ Dinner, a night for decision makers in the maritime sector. We will report about this evening in due time of course. But we will not only report about this evening. We will also keep you informed about the impressive deals that will be the results of this Global M&A Maritime and Offshore Forum. Global M & A Partners is an international network in which more than 30 independent mergers and acquisition agencies work together. These agencies operate in more than 50 countries across all five continents, with over 200 active “dealmakers” and supported by 150 business analysts. Over the past five years, GMAP agencies have done more than 1500 transactions with a total value of over € 42 billion. JBR is the Dutch partner in Global M & A.